LWARB invited organisations to bid for contracts in Wandsworth, Hammersmith & Fulham, and Kensington & Chelsea as part of its Resource London programme. The tender is for the provision of consultancy services to provide technical support to the boroughs. It says part of the project should consider the feasibility of collecting food waste from households on a shared resource basis, such as joint collections and shared vehicles. But the invitation says the boroughs anticipate a limited number of properties that may be suited to kerbside food waste collections. Along with the London Borough of Lambeth, the three boroughs’ waste disposal is managed by the Western Riverside Waste Authority (WRWA), which is under contract to Cory until 2032. WRWA arranges the disposal of all municipal waste for these boroughs apart from food waste, which is collected only in Lambeth by Veolia. Hammersmith & Fulham council is also keen to look into the possibility of collecting commercial food waste, and has requested a feasibility study to ascertain if this would be viable as part of the tender. Pressure for all councils to introduce separate food collections may be set to come from the European Commission. Current regulations stipulate that countries must provide separate collections for plastics, paper, metal and glass where technically, environmentally and economically practicable (TEEP). 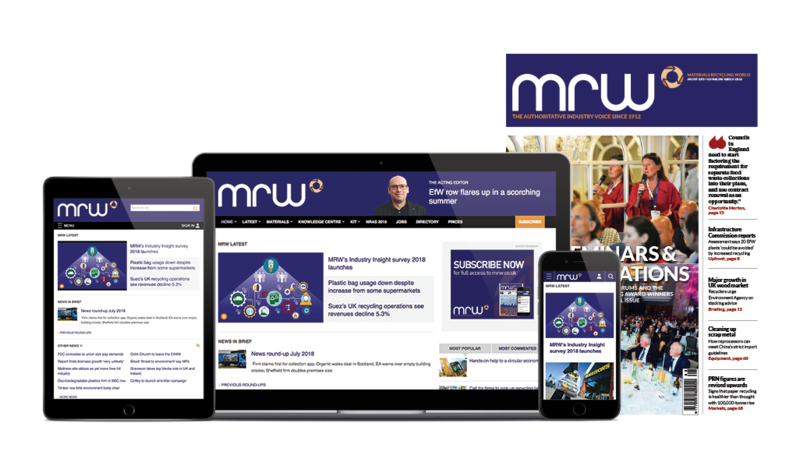 A recently leaked draft of the Commission’s upcoming circular economy package, reported by MRW, strongly suggested it would add food waste to the list.